Technology is the cornerstone of how we provide peace of mind to those we serve. Our unique, custom-designed technology results in saved resources and time, which as a result increases the effectiveness and efficiency of our operations. This state-of-the-art software is the key to how we deliver our services, run our business, build our employee’s skills, and fulfill our client's needs. Cloud-based, our branded technology 88Edge, is user-friendly, flexible, scale-able and available to our clients anytime and anywhere. This software provides real-time verification of activity and reports, and ensures that our teams have the resources needed to achieve their responsibilities. As a result, transparency and accountability of the services contracted with your property increases. 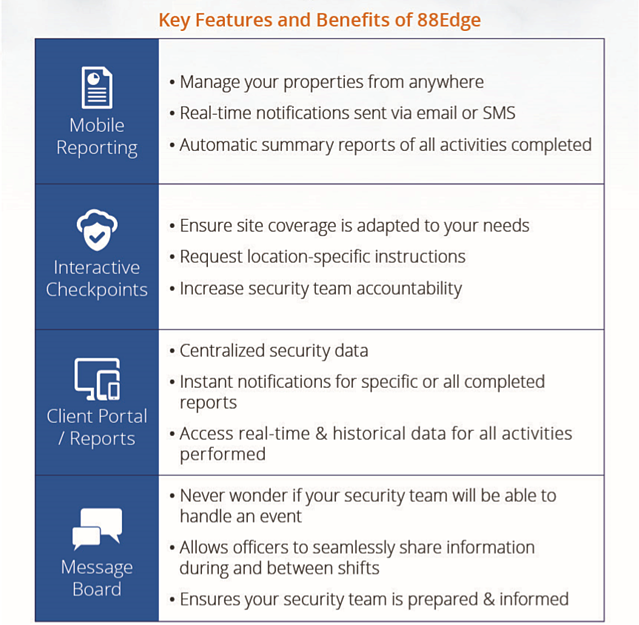 88Edge is designed to elevate our services, and provide peace of mind for you and your residents, customers and employees. 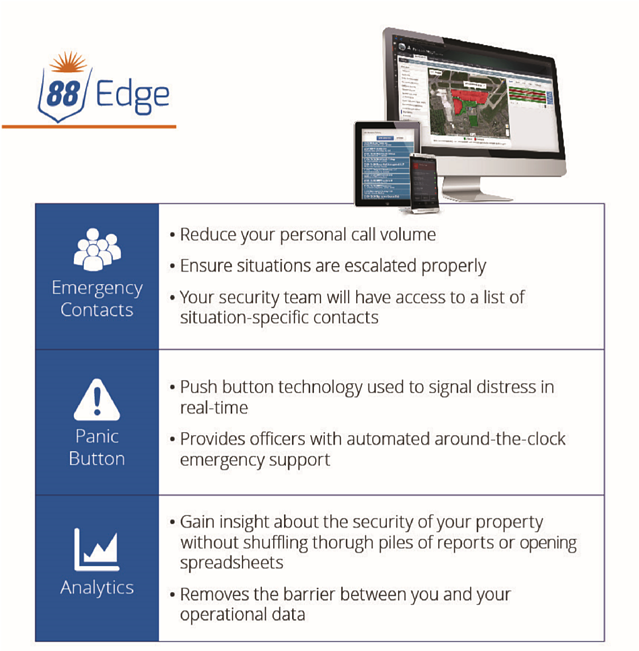 For more information about our 88Edge technology, click here.